Chance for new jewellers to win a free stand at June selling show. Professional Jeweller’s annual competition to win a stand at the contemporary jewellery selling show Treasure has now closed. Professional Jeweller and Treasure have teamed up for the fourth consecutive year to offer new jewellery businesses the chance to exhibit at the show for free in June. The annual competition has become a highlight in the Professional Jeweller calendar with a steadily rising number of entries each year. 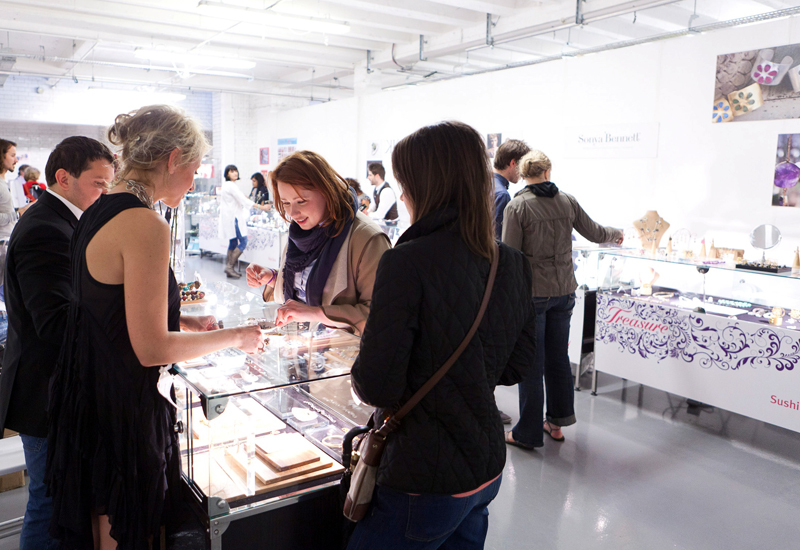 It is open to contemporary jewellery designers or brands that have been in business for three years or less. Entrants are asked to submit photographs of their work to the editorial team at Professional Jeweller magazine (full details below) by the end of January 2013. All entrants will be put to a panel of retail buyers at leading UK jewellery stores and whittled down to a shortlist of 10 designers or brands. Those on the shortlist will then be put to the public vote on professionaljeweller.com, which is a chance for up-and-coming businesses to prove their mettle by embracing marketing campaigns to drive votes. The three designers or brands with the highest number of votes will be given a free stand at Treasure, which takes place from June 13 to 16 in Somerset House as part of Jewellery Week 2013. Claire English, Clarice Price Thomas and OAK were the recipients of the free stands at Treasure in 2012, with each describing the competition as giving their brands a boost. During the 2012 competition Claire English scooped a double prize, given a free stand at trade exhibition The Jewellery Show London – which will also be held this year at Somerset House, on June 11 and 12– after being singled out by the panel of judges as having the company with the most commercial potential. This extra facet is set to return to the competition this year with The Jewellery Show London event director Julie Driscoll confirming that it will once again provide a stand to one of the three winners, the one that can demonstrate some serious business intent. As well as a chance to show work to the public and trade for free, the Professional Jeweller Treasure competition also gives entrants a huge exposure to both the magazine’s readership and top retail buyers. Each entrant is passed in front of the panel of retail buyers in the process of making the shortlist, ensuring that jewellers’ work is viewed and considered by highly influential retailers. Those that make the shortlist and so the public vote will also gain huge exposure though the magazine. During the seven days of voting in 2012, professionaljeweller.com received 22,158 visits and a total of 74,940 page views. The final number of votes in the 2012 leg of the competition totalled 60,869, tripling the number cast during the 2011 competition, and Professional Jeweller editor-in-chief Rachael Taylor expects the 2013 to smash these figures once again. To enter designers or brands (in business for three years or less) should send three images of their jewellery, a photograph of themselves and a supporting document with a short biography and descriptions of the three pieces submitted to info@professionaljeweller.com by 4pm on February 1, 2013.